Maybe I live a little too much in my own little world, but I have never been scared to run by myself. It’s what I do [but, it’s not what I’ve always done so I can’t play that card] – I lace up my shoes and go out and run. Of course there are places I avoid and simple precautions that I take, but I go out and run and I don’t tend to play the what if game or hold any real fear. Maybe it’s a bit too naive..? Maybe it’s because I tend to see more deer, trees and rocks on any given run than humans? Maybe it’s because I started to run by myself so it has become the norm? Or maybe it’s because we tend to think these things — high profile events/stories — won’t happen to me [until they do]..? I don’t know why I don’t associate running with a small sense of fear – I’ll consider myself lucky because it would probably take a lot away from what I love to do. But, I get the question all the time – aren’t you scared to be out there alone..? My answer has never shifted, even when I hear the stories and the horror stories from a good run entirely disrupted, so I decided to reflect and think about this some more. Now, don’t get me wrong. I’ve seen and heard it all before – the cat calling [what a stupid phrase! ], the unnecessary comments yelled out a car window, the looks. And, please don’t try to tell me it’s because of my choice of running attire, or being pretty, or any of that. [Because when you drive by slowly in your truck, not once, but twice, at mile close to 50, I can promise you it wasn’t for looks or smell 🙂 But, I saw you, I was very much aware of what was going on, and I did not acknowledge such gestures.]. These actions — well, for sake of not being overly expressive, are just not necessary — to yell out the window, to give those looks — you can only be practing to be a bad human. But, I can also connect the pieces. This non-sense doesn’t only happen when I run, it happens all the time. That does not make it okay, but it happens. Yes, sexism is a very real thing in the 2017 United States. And, the bad, the horror stories, that all happens too. And, it happens in cases unrelated to running far more than in running cases. It happens. That’s the problem. And, while it shouldn’t, it does and it will. We know that, so we are prepared for that. Did you read that? We are prepared for that. Women [and men] should not be fearful when they go out to run. They should be aware and conscious of their surroundings, but not fearful. Believe me, I don’t know a single female runner that needs to be lectured on running safety. 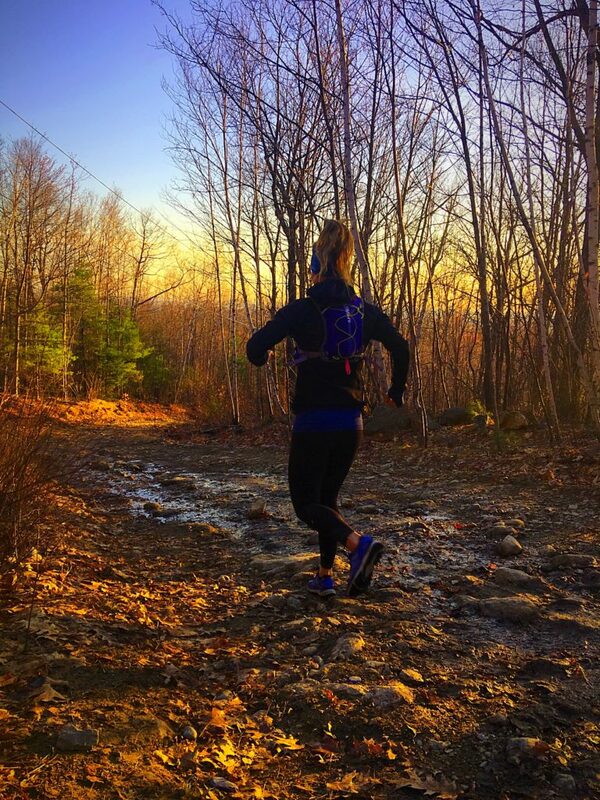 A female runner is not frail and helpless. She is strong AF, courageous and smart. No one ever went on a run and intended for it to be unsafe. It’s likely that a runner [female or male] opts to run in a well lit area, leaves the music behind, tells someone where they are going and when they are expected home, keeps a cellphone with them and runs different routes. So, I am positive that we can agree that most of us run safely. But, we can’t account for the unexpected. We can be smart, ready and prepared to put up a fight if we ever find ourselves in a horrible situation BUT, we can’t account for the unexpected. So, let’s talk about what we can do. We shouldn’t have the mentality that we will outrun a predator [maybe said predator just happens to have two legs instead of four – that’s the worst kind]. But, that predator will be up for a fight and not a run [remember, this is unexpected]. We should have the mentality that we are strong, smart and ready — that just might mean, run with a safety device, a tool of protection — like pepper spray or a taser [disguised as a flashlight]. Now, you probably don’t need these devices if you go out for a mid-day run in your local neighborhood, the track, or are running in a group — but, if you are heading out alone, in the dark or on a new route, it may just be worth it to carry them along. And, if it makes you feel safer — why not…? These precautions make you smart – not weak. I’ll say the cliche, better safe than sorry. Always. Never stop fighting, never stop running. The article resonated — it is powerful, and it prompted the sharing of stories from my own circle of friends. Yes, my friends, they had stories to share too. And, I want to share one of the stories here. I met Leslie at GORGO Camp last summer. She’s a Mom of two little girls, an instant friend, probably feels a bit too crazy on most days and is balancing in passion with worklife. Her passion is what amazes me – she educates on self defense and mixes fitness into this discipline and life skill too. 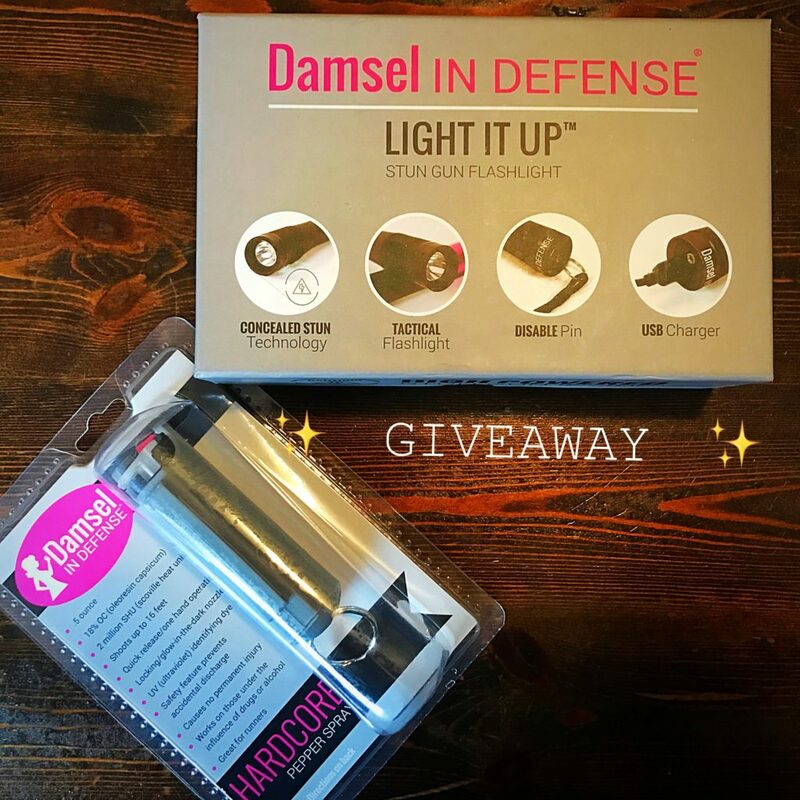 She has partnered with Damsel in Defense to provide safety education and products that align with the end goal. Passion always comes with a reason. For Leslie, that passion came from a terrifying experience, that led to unexpected emotion, and a call to action to take control of her life. Today, she wants to make sure that other women never have to feel the way she did during that period of time. She hosts Empower Hours – at homes, businesses and schools where she teaches self defense and educates on the tools that Damsel in Defense offers. Her future plans include business collaboration with her husband to provide a blended fitness and self defense class. This is the stuff that makes me happy. Taking real life, passion and turning it to something more – to help those around you. To check out more of what Leslie is doing, visit her Facebook Page, Find your Fit. And, don’t forget to enter the Instagram GIVEAWAY. Happiest running! When I lived in New Haven, I used to run without my phone or anything, just my keys. After a run where I had a bad feeling, I ran with my phone and a regular old whistle. I downloaded the RoadID app after I broke my leg 2 years ago and I use it every time I run solo. I ended up buying pepper spray and this obnoxious whistle alarm after the stories from last summer. I don’t run with music unless it’s on Back Cove and broad daylight. I’ve taken self defense and I do my best to stay aware. I’ve almost been hit by cars, a dump truck, a city trash truck. I’ve been cat-called, yelled at, and almost hit by an unopened beer can that was launched off a second story deck. I haven’t been followed (yet) thankfully. Great post. Unfortunate we have to worry about such things but better to be prepared for the worst. I recently took a great self defense class that was helpful in knowing some basic safety tips and tips to help in event of an attack. Thanks! What a great concept to create! I’ve always believed that although jogging outdoors with headphones can be motivating, it is also very dangerous as you don’t hear what’s around you. Anything or anyone can come up beside you without your knowledge. I teach high school in a city and all my students walk to school with headphones, it’s so scary. I always run with pepper spray. I would rather be safe than sorry! I’m not as worried about humans as I am an unfriendly dog. Lol. I feel that I live in a pretty safe area but one just never knows and I would rather be prepared in case of a bad situation. Thank you for sharing this info & for the great giveaway opportunity! It is very scary to be in that position. Everyday on my run the same car passes by and slows down. I keep running, hoping I make it to my house soon. The man always has his window down and stares at me. It’s creepy. It’s sad us ladies have to go through this. I am often running by myself but always make sure to tell someone when I head out and where I am going. I know I should carry something but I often don’t. I hate having to feel worried that something could happen but its smart to be aware. My friend Bridget and I took a self defense class once but I could use a refresher. Stay safe out there Crystal! I think we tend to think about safety even less given where we live. Like you, I always make sure to tell someone where I am going and when I should be back. I think self defense may be a to do list item for me too.